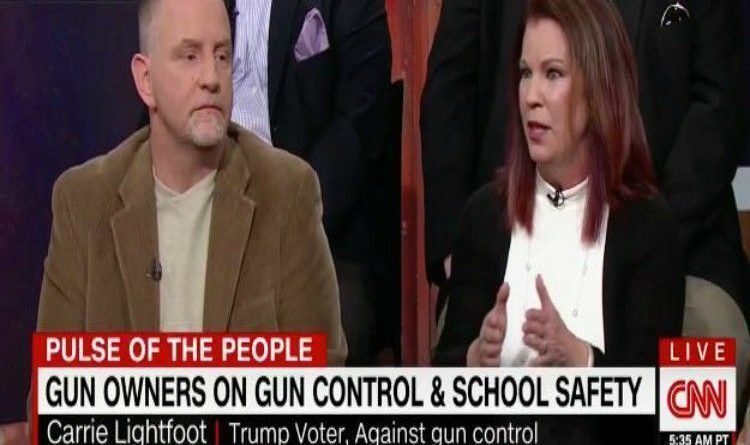 On Thursday, CNN hosted a panel of Trump voters, made up of people who are pro-guns and people who opposed gun control. The debate quickly turned contentious after Scott Pappalardo, a gun owner who destroyed his AR-15 rifle after the Parkland school shooting, told a female gun owner she didn’t need an AR-15 for home protection. “The AR-15 should not be used as a home protection weapon,” Pappalardo said. “Do you know what a fabulous gun that is for women?” Lightfoot pressed. “It’s a fabulous gun. So is a shotgun,” he said. Lightfood also took up an impassioned defense of the Second Amendment. CNN host Alisyn Camerota then asked her if she thought “the forefathers meant the AR-15” when they wrote the Bill of Rights. I wonder, did our founding fathers know what the Internet, television or radio were when they protected free speech? The anti argument is based on emotion or feeling. The pro argument is reasoned and principled. A home defense weapon should be whatever the person is most experienced with and most comfortable using. Just like everything else in life, it’s up to each individual to decide. We do not have politicians sitting behind a desk telling us what brand of car to buy, or what brand of cereal to eat, or what store to shop at for shoes. Why do we need them to tell us what type of weapon we should use to defend our families? Share this article, and comment what’s your preferred method of home defense?